Providing a glimpse into the past of Scott County, Old School Museum offers the visitor a view of the history of the area and a link to their ancestors. The museum preserves and displays artifacts related to local history, agriculture, transportation, communication and public education. There is a great collection of interesting and unique items gathered from the businesses and society of early Scott County. 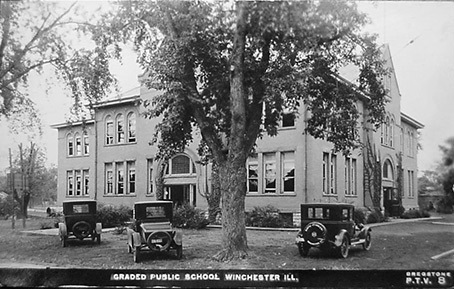 The Romanesque style building was Winchester’s public elementary school from 1901 through 1958. Located on the first lot of the original town, platted in 1830, the building fell into disrepair before being purchased in 2004 and has since undergone a total restoration. Careful attention has been paid to historic detail and the school building itself serves as a tribute to the building trades and craftsmanship of a bygone era.